The Sap was running well on this sunny Saturday afternoon. By all reports the sap has been flowing well this season and Huron County has some great Maple Syrup producers. I’ve enjoyed it a couple of times in the past week and I’m sure you’ll enjoy spring sweet nectar served like this too. First, my all-time-favourite way to enjoy maple syrup is on fresh baked tea biscuits. My grandmother taught me how to make these flakey treats years ago and they are still a big hit here. I add raisins for extra goodness! And last night I tried an easy new recipe. I chopped up sweet potato, parsnips and carrots, drizzled them with olive oil, salt & pepper and baked for approx. 1/2 hour (stirred half way through). Then, I mixed 1/4 cup maple syrup with 2 tbsp dijon mustard and 1/2 tsp garlic powder and glazed the cooked root vegetables. My dinner guests enjoyed this sweet vegetable treat last night and todays microwaved left-overs were even better! I visited the Drudge Family of Wroxeter right at their farm a couple of weeks ago. The Drudge Family has been making maple syrup continuously since 1797! So, I didn’t think I could go wrong and I purchased some light syrup – first of crop for 2013. 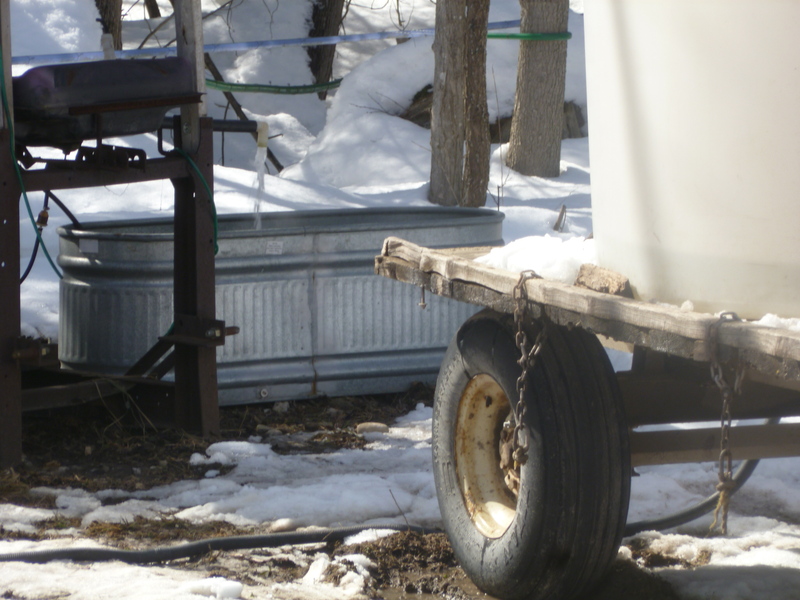 I was delighted to find on my tour through Huron evidence of both the newer way of collecting syrup with those blue syrup lines and large tanks as well as traditional method – metal sap pails nailed on the side of the trees. Doris & Albert Schilbe’s (Facebook) product is available at Brandon’s Hardware in Bayfield. and Cranston Farms Maple Syrup in Lucknow. 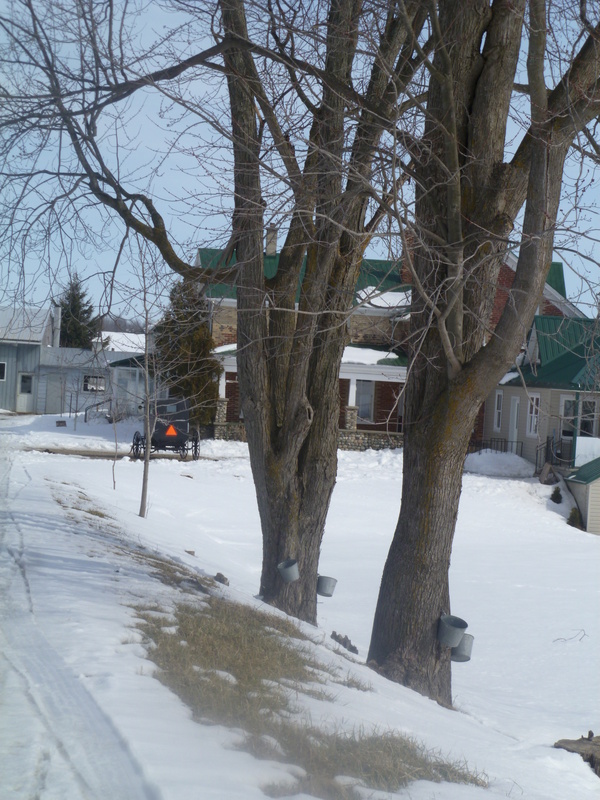 I’ll be checking out the Belmore Maple Syrup Festival in a couple of weeks, so until then – Enjoy Spring’s Sweetness!